Your four-legged friend is a friend of yours. I'd be happy to bring it with me on a leash. In March and April there is sometimes heavy continuous rain or even a violent storm in our region. 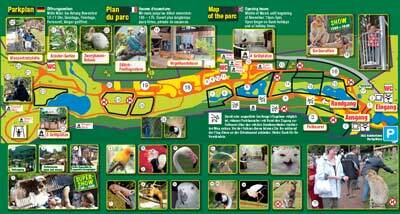 Then the park will remain closed on this day, see also weather map. 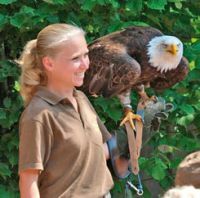 A bird of prey on your arm? 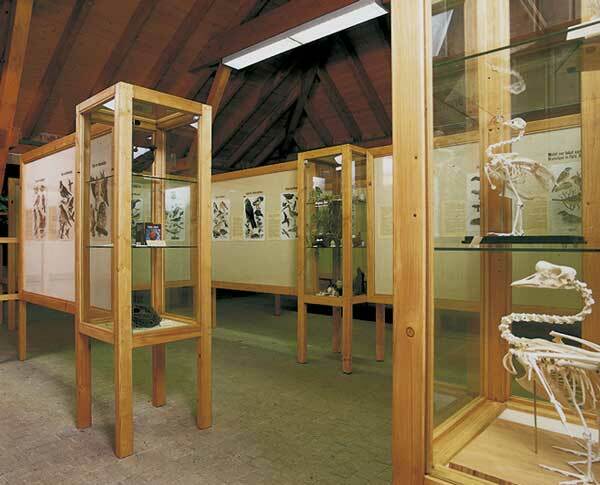 In the bird information building fascinating secrets of the bird world are revealed. 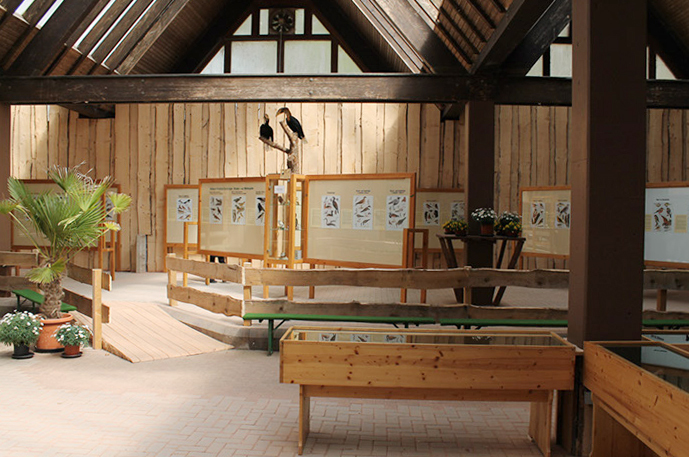 In the large Bird Information Building covering approximately 500 sq.m. 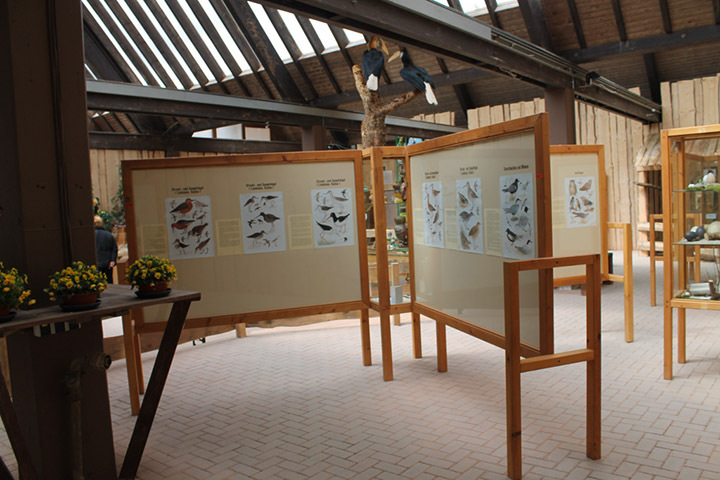 24 huge display boards and windows give details of the indigenous bird world. 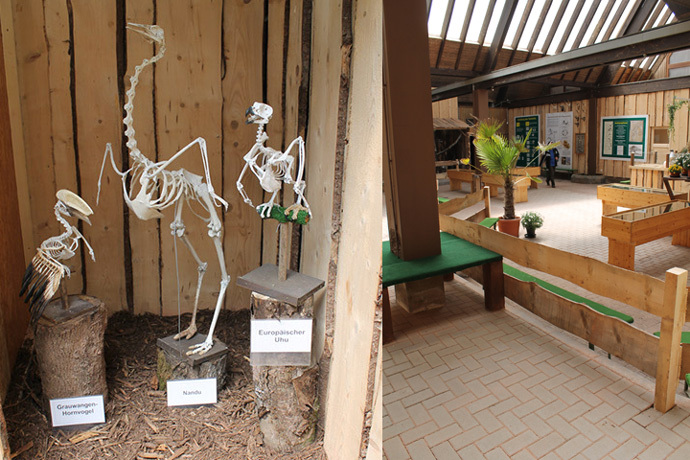 The exhibition has as its motto: "Every bird watcher is a bird protector". 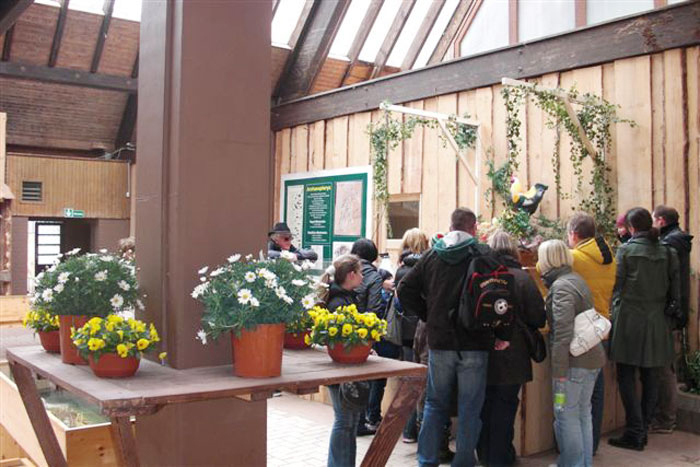 The exhibition is divided up according to different headings: Recognising birds, Indigenous breeding birds, Orchard birds, Meadow birds, Woodland birds, Birds of hedges and wooded areas, Birds of deciduous forests, floodplain forests and coniferous forests, Migratory birds, Winter visitors, Birds of prey, Birds on flowing water, ponds and lakes, Stalking birds, Swimming birds, Beach and marsh birds, Sea swallows and Seagulls. 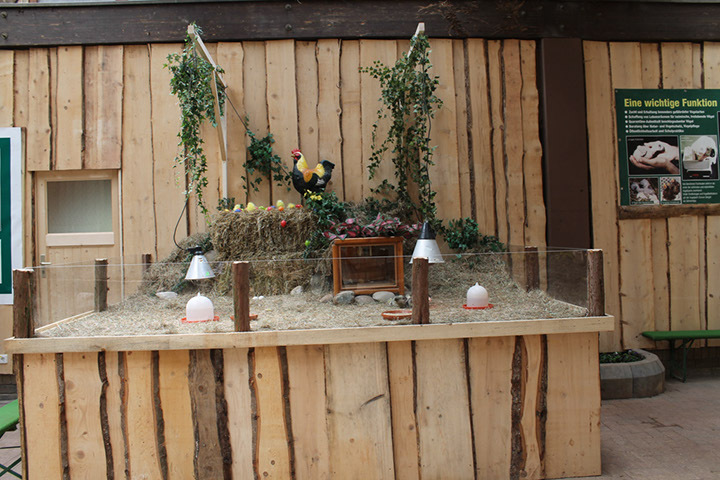 Here you can witness in amazement not only the daily appearance of chickens but also the extensive exhibition of eggs. 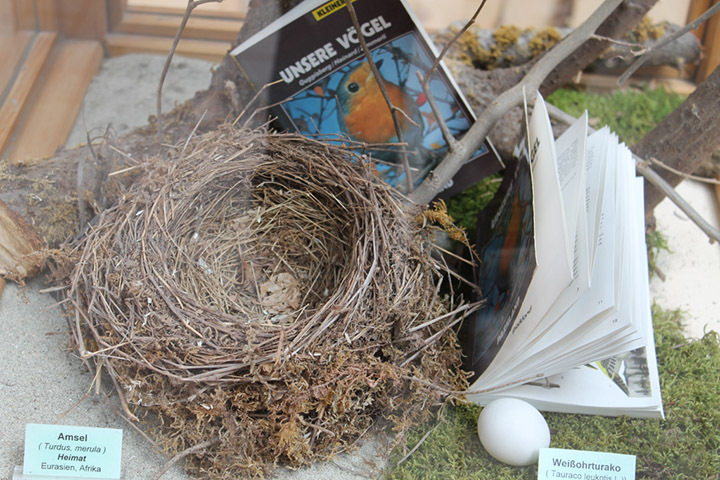 Many original eggs, mostly from our own supplies, can be seen in many display windows. One example is the smallest egg in the world, the humming bird egg, which is no bigger than a pearl. 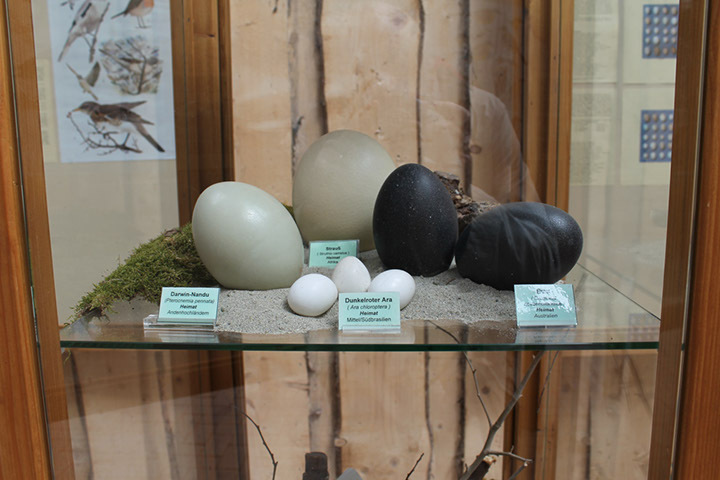 Another is the biggest ostrich egg, which is about 16cm high. 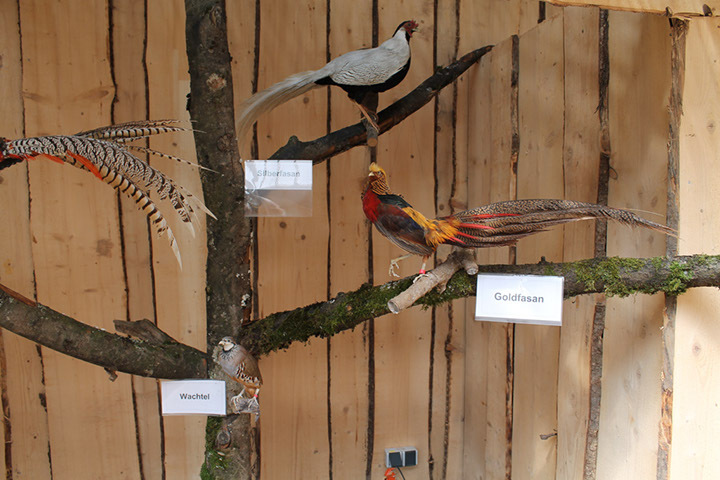 Several stuffed birds of prey such as the eagle owl, hawk or falcon are also present. 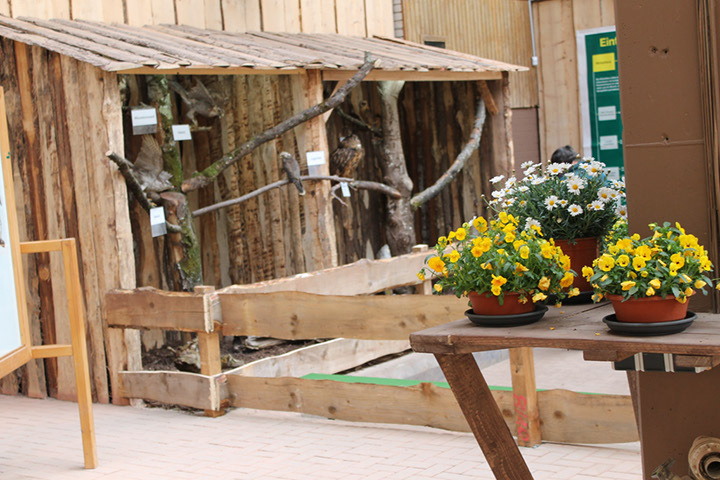 The diverse exhibition is rounded off by a collection of owls from all over the world. 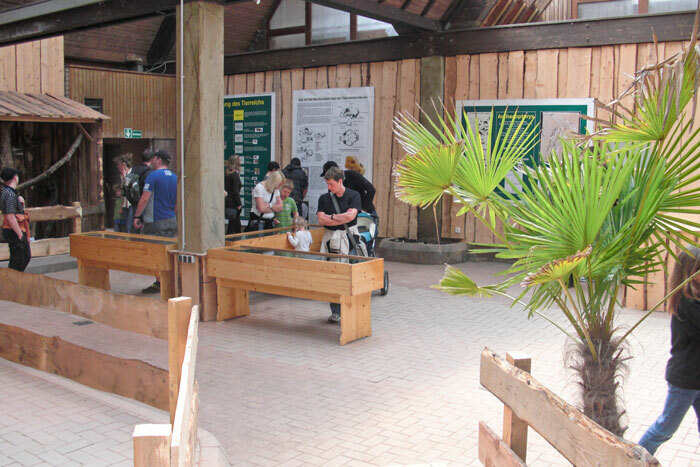 At the exit of the bird information building we come to the extensively covered 30m long free flight area of the parakeets. These small, colourful flying acrobats are quite tame and delight visitors to the park both old and young.